Lahore: People from different walks of life including political workers, students, intellectuals and activists gathered at Shadman Chowk Lahore today on March 23rd to commemorate 84th death anniversary of Bhagat Singh, one of the most influential revolutionaries of subcontinent’s independence movement. Bhagat Singh and his companions, Rajguru and Sukhdev, were executed by British Raj exactly on the same date on March 23, 1931 at the location which is currently known as Shadman Chowk. He was twenty three years old at the time of his execution. The participants paid tribute to the struggle and ideas of young revolutionary and reiterated their demand to rename Shadman Chowk Bhagat Singh Chowk. 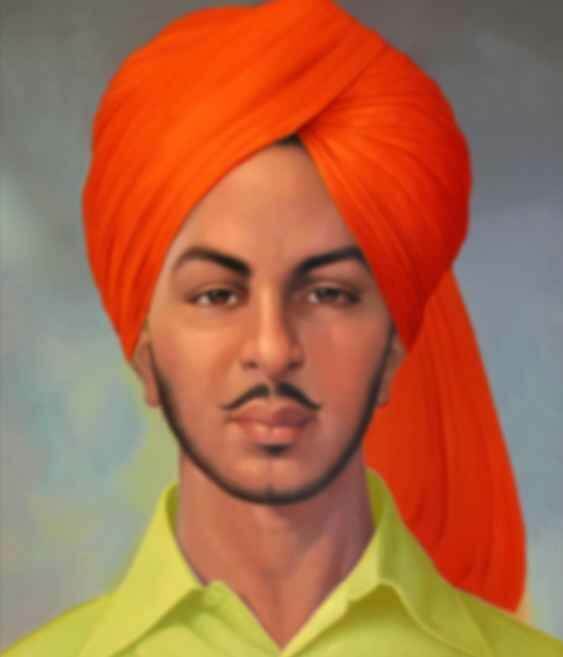 They stated that Bhagat Singh was a hero of independence struggle and was above religious affiliations and as a son of this soil he must be commemorated and recognized by the people of Lahore. They demanded that all indigenous heroes and icons should be celebrated and their contributions acknowledged at official level without any discrimination based upon their religious affiliations.